We have a great range of special offers available here at 1725. Please see below for a full list of offers and discounts available. Lunch time 3 Tapas for £9.99* – Available seven days a week before 5:30pm. Cinema/Theatre ticket 20% off food** – Produce today’s cinema or theatre ticket to get 20% off your total food bill. Valid Sunday to Thursday. 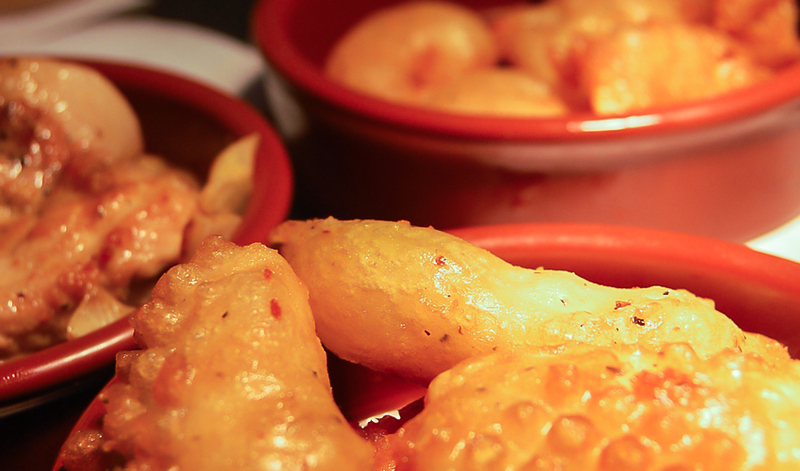 2-4-1 Tapas evening*** – Monday from 6pm is our ever popular 2-4-1 offer . All main Tapas dishes are two for the price of one. Free bottle of house wine OR a litre jug of sangria**** – Thursdays from 6pm, receive a free bottle of house wine or a litre jug of sangria when you order a minimum of 5 Tapas dishes. Meerkat Movies Wednesday 2-4-1 cinema code***** – You can use it for 2-4-1 Tapas from the main tapas selection every Wednesday! Hi-life diners card: receive up to 3 dishes for free when a minimum of 3 dishes are purchased. To receive special offers and discounts by SMS please enter you mobile number below. If you are unsure about which offers are valid, or whether we can accept your voucher or discount card, please call us on 01524 66898 and one of our friendly, helpful staff, who will be more than happy to check for you. No offers are in conjunction with any other offer or discount (unless stated) – so please ensure you only use one offer or discount card at any one time, to avoid disappointment. *****this offer is available for 2 people. If more people dine they will need to pay full price or provide a further discount code.